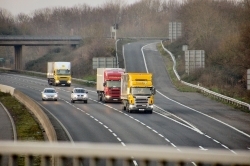 · GHG emissions from transport increased by 19.4% since 1990. It is the only main European economic sector for which GHG emissions have increased. · In 2013, transport accounted for almost one-quarter of the EU’s total GHG emissions (one-fifth excluding international aviation and maritime emissions). Passenger cars contribute almost 45% and heavy duty vehicles a further 20% of the transport sector’s emissions. · As a result of EU legislation, transport emissions of three important air pollutants SOx, NOx and PM decreased in the period 2000 to 2013 in the EU. Particularly for NOx from diesel cars, but also for CO2, there is an increasing difference between ‘official’ emission measurements compared to real-world driving emissions, an area of concern. · Road traffic noise, both within and outside urban areas, is still the most important source of environmental noise in the EU. Around 125 million people were potentially exposed to noise levels exceeding 55 dB Lden in 2012. · A sharp fall in freight demand occurred in the years immediately following the economic crisis and, following a limited recovery, freight volumes have since remained largely stable. In 2013, total freight transport was 7.3% higher than in 2000. · Passenger transport increased until 2008, but it has remained broadly stable following the economic recession. In 2013 the number of passenger-kilometres was 8.4% higher than in 2000. · Between 2000 and 2013, the proportion of diesel in energy consumed by road transport increased substantially. Financial incentives by many European governments have encouraged the uptake of diesel engines. The number of electric vehicles has grown but is only a minimal proportion (0.07%) of total passenger car fleet numbers.